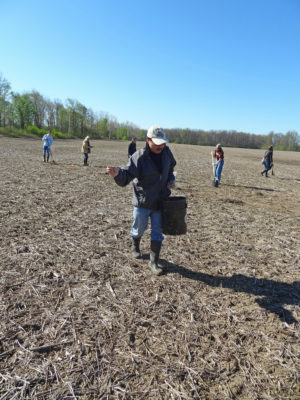 On Earth Day weekend, Oberlin College students and local residents worked Western Reserve Land Conservancy to restore a natural prairie on previously farmed land on the Oberlin Great South Woods property. 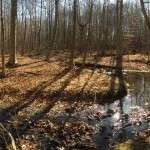 The 63-acre property, which was targeted for conservation for more than a decade, was acquired by the Land Conservancy in October 2015. 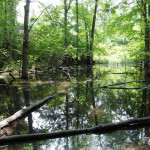 The property boasts high quality forests, wetlands, and a sedge meadow as well as 30 acres of previously farmed land. This year marks the first year the field will not be farmed, as the public funding used to acquire the property does not permit continued agricultural use. This provided a fantastic opportunity for conservation partners to begin prairie restoration work of the former fields while they were relatively clear of invasive plants. The restoration work will further prevent the potential establishment of invasive species and spread to adjacent farmland. “We planted a number of pollinator-friendly meadow and prairie seeds this spring, and plan to plant additional native plants and seed this fall,” explained Kate Pilacky, Firelands associate field director for the Land Conservancy. 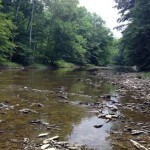 Students from Oberlin College’s Environment and Society 101 class helped plan the project. They joined members of the Track and Field team, to assist with the prairie planting. “From direct service to administrative projects, we’re pleased that Oberlin College students have had the opportunity to support the Western Reserve Land Conservancy in a variety of ways over the years, including the annual Day of Service during new student orientation, the Community Service Work-Study Program, and community-based learning courses,” shared Trecia Pottinger, Oberlin College’s director at the Bonner Center for Service and Learning. This is not the only connection Oberlin College has to the project. 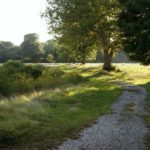 In addition to significant Clean Ohio Conservation Fund grant funds secured by Western Reserve Land Conservancy to acquire the property, additional funding from the Oberlin College Green EDGE (Ecological Design and General Efficiency) Fund helped make the project possible.